Businesses these days are growing ever larger and more demanding in order to accommodate the fast growth of the tech and networking industries. 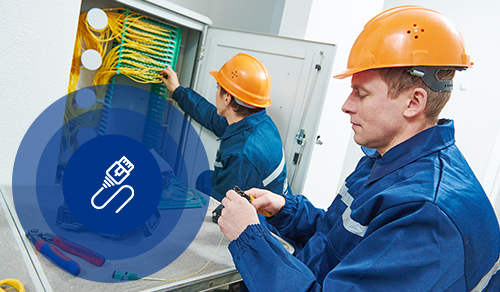 As a result, finding an on-demand fiber network technician in a short amount of time can be difficult and time-consuming. But with Field Engineer, you’ll find that locating the ideal prospects for your needs is as simple as logging in to your dashboard. Field Engineer offers a growing marketplace of over 40,000 freelance IT engineers across more than 180 different countries. From cabling installations to network solutions deployment, you’ll have access to the world’s largest collection of global on-demand IT engineering specialists that can confidently provide you with expert services all over the world. This effectively gives your business a global presence that would otherwise be incredibly expensive, and all you need to do is sign up and post a job. Our platform of on-demand global IT engineering talent is simple to access and utilise. You can connect with skilled engineers today in a matter of minutes by simply posting a job on your dashboard and waiting for prospects to register their interest. Once you’ve chosen a candidate, you can simply message them and the job can begin when you chose. The Field Engineer dashboard can be accessed from virtually any modern device and it’s a simple and intuitive system to use. Simply sign up with Field Engineer today and see how we can help you establish a global presence at an affordable cost.